Using grocery coupons can save the average consumer up to hundreds or thousands of dollars per year based on the time and effort you’re willing to invest in coupon-collecting, or “extreme couponing,” as some may know it. 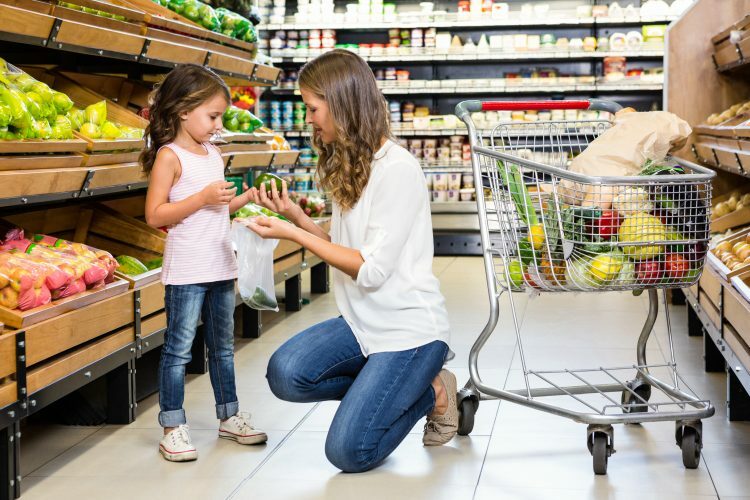 Before your next major grocery shopping extravaganza, take a stab at finding grocery coupons using these 10 easy methods. While most consumers rely more on email and digital news these days, your home mailbox and local newspapers are still great sources for grocery coupons. Instead of automatically throwing away junk mail, take a brief moment to check for coupon books and flyers. If you’re not into reading the newspaper, consider taking time to flip through the Sunday edition at your local supermarket or convenience store. In some cases, it’s worth spending between $1 to $2 on the Sunday edition for the sake of nabbing grocery coupons. Most major grocery stores release weekly magazines or circulars that feature the latest sales, along with coupons. Find out when your supermarket releases its weekly edition so you can stay ahead of the game and buy your favorite groceries, especially if supplies are limited. Blinkies are coupon dispensers that can be found next to select products in most aisles of your grocery store. Blinkies are often in the form of black boxes, and feature red lights that blink to grab your attention. Take a few extra minutes to walk the aisles in your grocery store to locate and collect coupons from Blinkies. If you pay close attention, you’ll discover that many grocery products you already have at home feature coupons, whether they’re on the label or inside the box or container. Before tossing food boxes, packaging and cans into the trash, examine all packaging and labels inside and out to find hidden coupons. Inform your network of friends and family that you’re collecting coupons, and suggest that you all engage in coupon swapping to save money. This can be an excellent way to collect coupons, especially if you and your friends frequently come across coupons one or the other will never use. Visit the official websites for your favorite grocery stores and look for tabs and links that promote exclusive deals and coupons. In many cases, supermarkets release special coupons for website visitors, which then can be printed out and taken to the store for redemption. If you’re mainly interested in saving money on a specific grocery product or brand, try looking on the manufacturer’s website. Just like with supermarket websites, brand sites also feature exclusive coupons for devoted consumers. For example, if you love a particular brand, but aren’t satisfied with its in-store retail prices, browse the site to locate freebies or discounts on your favorite products. If you’re not having much luck finding coupons on supermarket or manufacturer websites, consider downloading the store’s official app on your smartphone. As the app market continues to grow, more and more merchants are releasing apps that offer coupons and other incentives for savvy shoppers. Download supermarket apps from the app store on your iOS device, Android, or Windows Phone, and log in frequently to look for new coupons. Sign up for coupon websites that do all the hard work for you in regards to finding and compiling coupons, then find what you’re looking for with a simple search. Examples of popular, reputable coupon sites are Groupon, Retail Me Not, and The Krazy Koupon Lady. Ask a grocery store employee to point you in the direction of the coupon exchange box. Many supermarkets now feature coupon exchange boxes, where customers drop off coupons they’re never going to use. After all, one person’s trash is another person’s treasure — or discounted grocery item, in this case! The more you keep your eyes peeled for grocery coupons, the easier time you’ll have saving money on the best foods for you and your family.